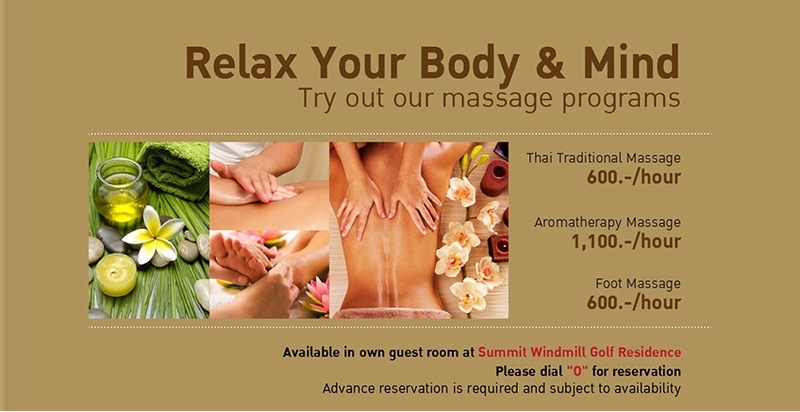 Try out our massage programs. Available in own guest room at Summit Windmill Golf Residence. Please dial "0" for reservation.